The statue of Byron Nelson at the TPC Four Seasons Las Colinas. The AT&T Byron Nelson golf tournament is being held in Irving one last time. After 35 years, the event is moving from the Four Seasons Resort in Las Colinas to south Dallas’ new Trinity Forest Golf Club. Earlier this week, golfers were arriving at the Four Seasons, and carts were whizzing past the tall bronze statue of Byron Nelson, the golfer who inspired the name of the tournament. 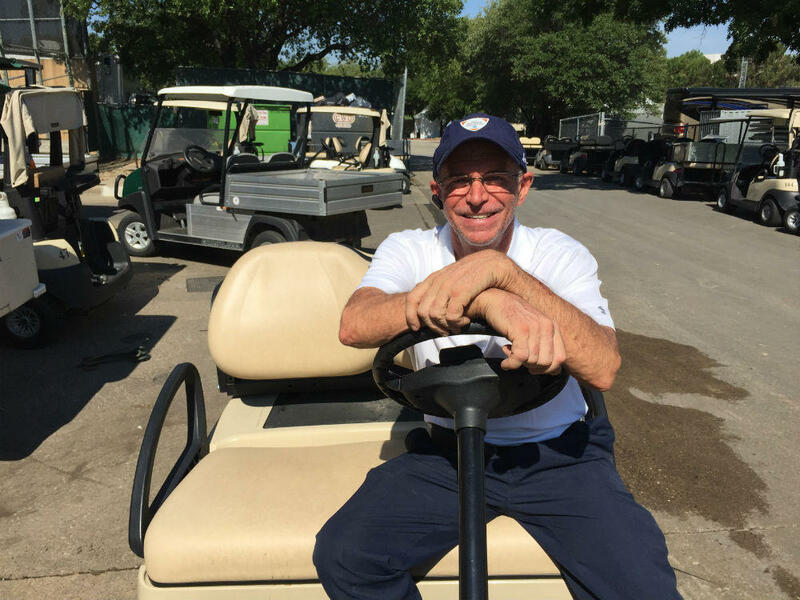 John Britton is in charge of all the golf carts used for the Byron Nelson. He lives in Irving and has been a volunteer at the event for almost 20 years. He loves where the tournament is, and doesn’t want to see it go. Built on top of a landfill in south Dallas, Trinity Forest, is designed to look like the natural landscape of North Texas. Tournament officials say they hope the new course attracts the top ranked players in the world. But for folks like Britton, the move is just another change for his town. Sports has been part of this city’s DNA since the Dallas Cowboys moved to Irving in 1971. The team’s headquarters moved there in 1985. Now, the Cowboys play in Arlington and the team's headquarters are in Frisco. Both cities handed out tax dollars to help pay for the new venues. Irving’s adjusting to a life without high-profile sports. Maura Gast, executive director of Irving’s Convention and Visitors Bureau, says sports and the Cowboys were always part of the city. 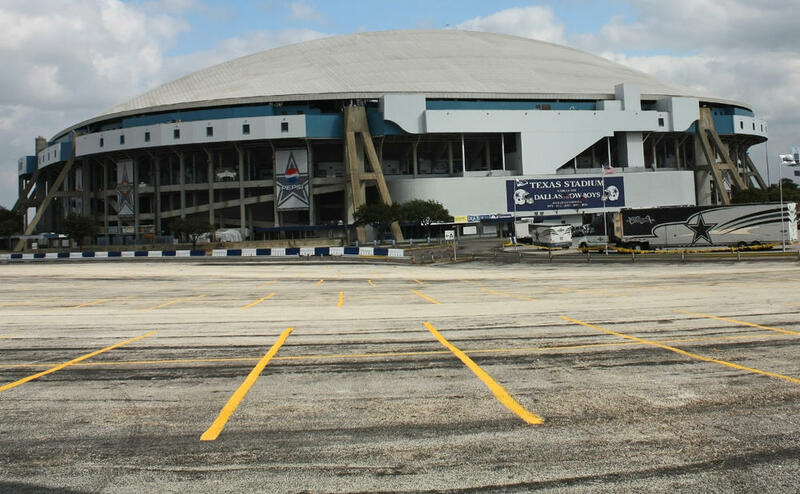 Texas Stadium in Irving was the former home of the Dallas Cowboys. Gast says the city is putting its focus on the Irving Music Factory. It’s an 8,000 seat entertainment venue that opens in August in Las Colinas. The complex will include restaurants and an Alamo Drafthouse movie theater. Comedians Trevor Noah and Dave Chappelle are headlining the venue in the fall. Gast says Irving is also working to improve public transit and attract corporate headquarters. That means fewer sports fans and more business travelers. The family isn’t moving far, just 40 minutes away. Irving’s not dwelling on the Byron Nelson moving on because they’re too busy planning for the future. For the second week in a row, Jordan Spieth is getting some home cooking. And a lot of love like the reception he got on the 18th hole at Colonial last week. Golfers at the 47th annual HP Byron Nelson Championship teed off Thursday in Irving. Proceeds from the tournament benefit an Oak Cliff school for low-income children. Some of those students got to play caddie this week. The proposed Trinity Forest Golf Course in southeast Dallas cleared two major hurdles in as many days this week.